Hungry for metal d-beat? Put your hands on a release that has been available for some time now and definitely needs a reminder. With one more album and 2 singles out, they are no strangers to those who frequent festivals in Europe. 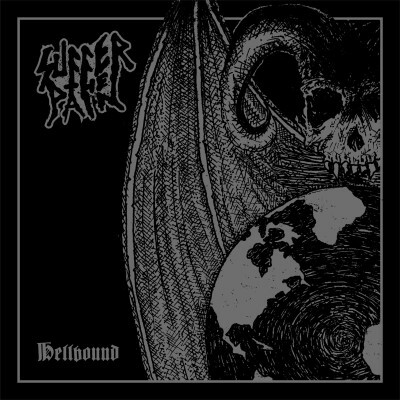 “Hellbound” is different in many aspects to their first release. This is a 10 song assault of metal d-beat riffs and the whole piece sounds much more mature, much more solid and definitely a lot heavier. Dark sound, dark production, dark vocals, dark lyrics, dark layouts. If fancy your d-beat dark, follow SUFFER THE PAIN. Super well played, with a hint of repetitive melody in the chorus. The only thing you don’t get here is the solos.